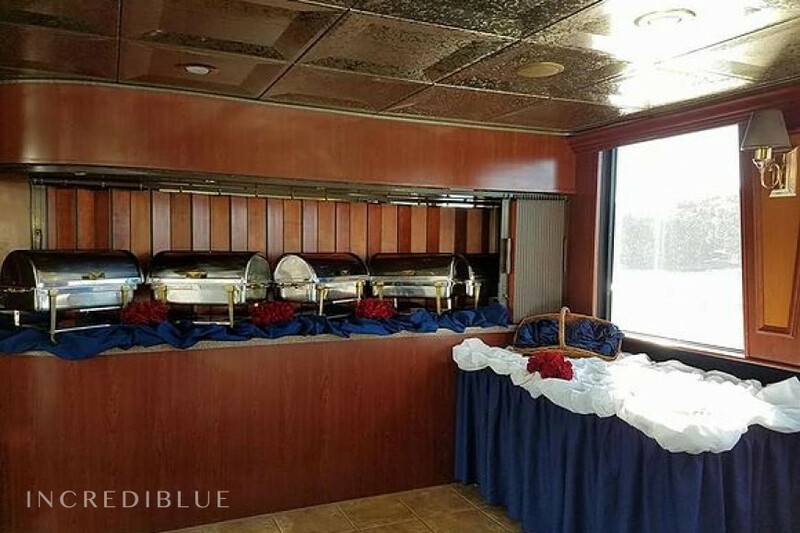 With plenty of room for up to 120 guests you can throw the ultimate party. 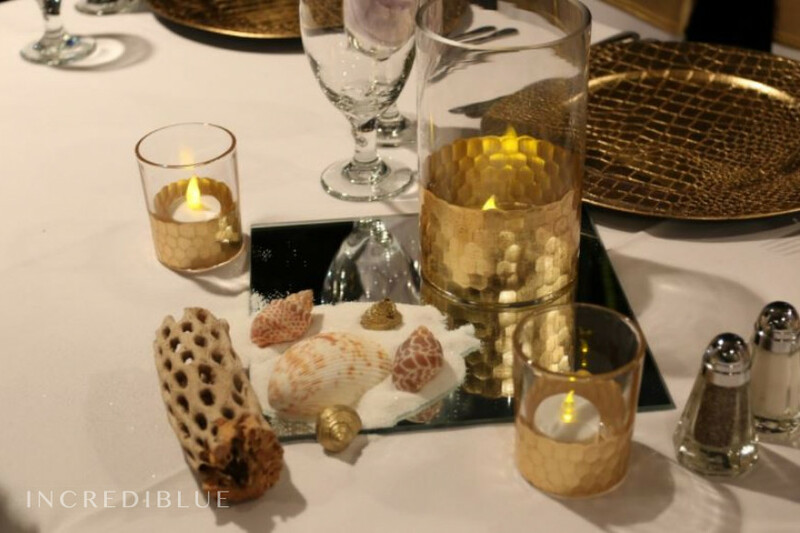 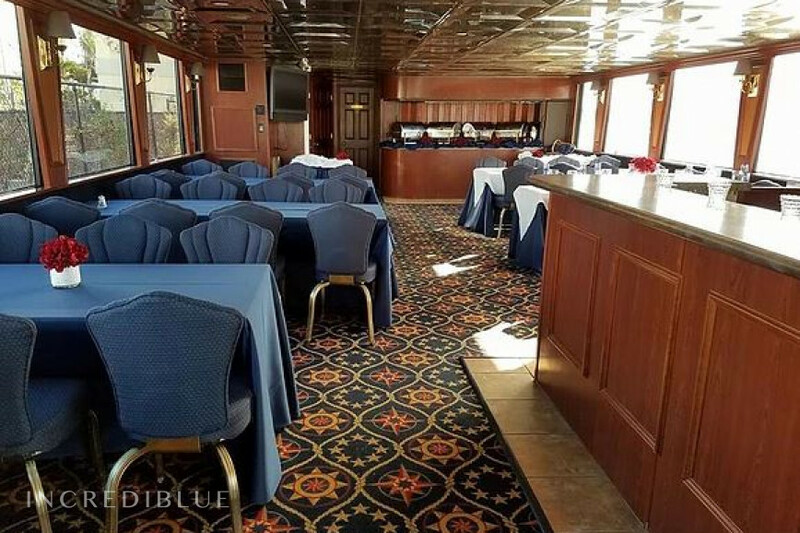 She is also perfect for holiday celebrations, award presentations, and meetings with clients. 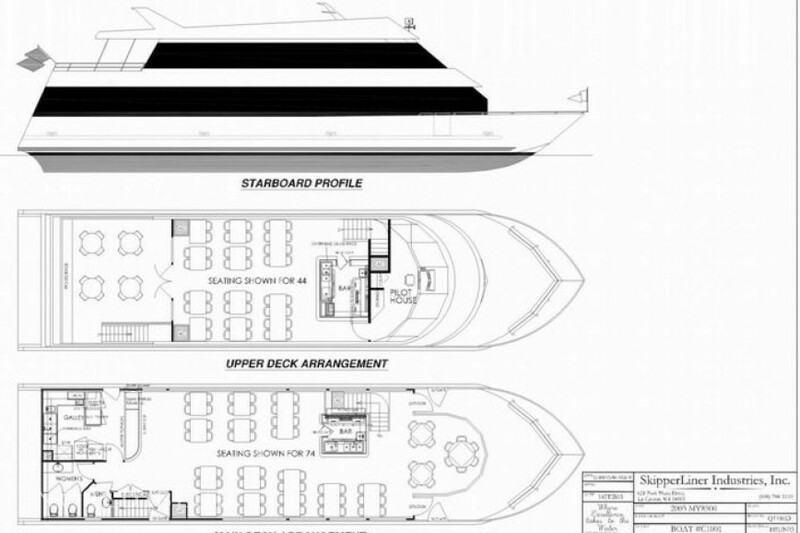 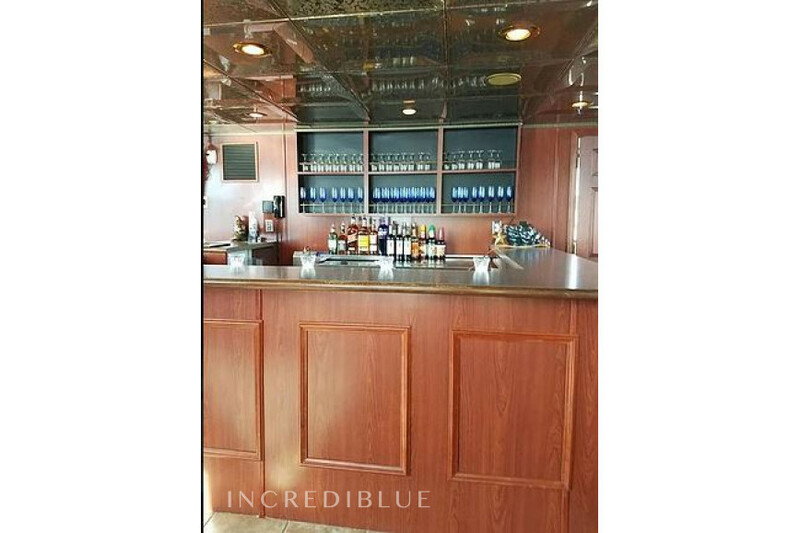 Some of the ship's amenities include polished cherry wood interior, two bars (one on each deck), large sundeck, and flat screen TV's. 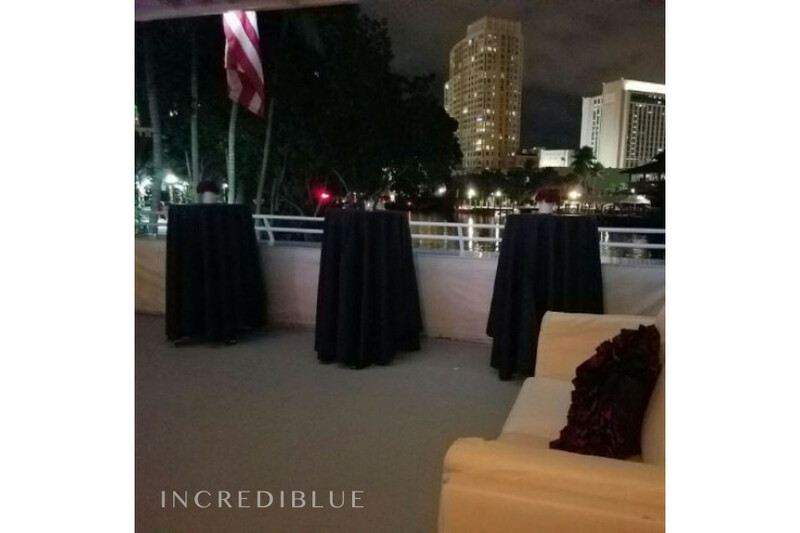 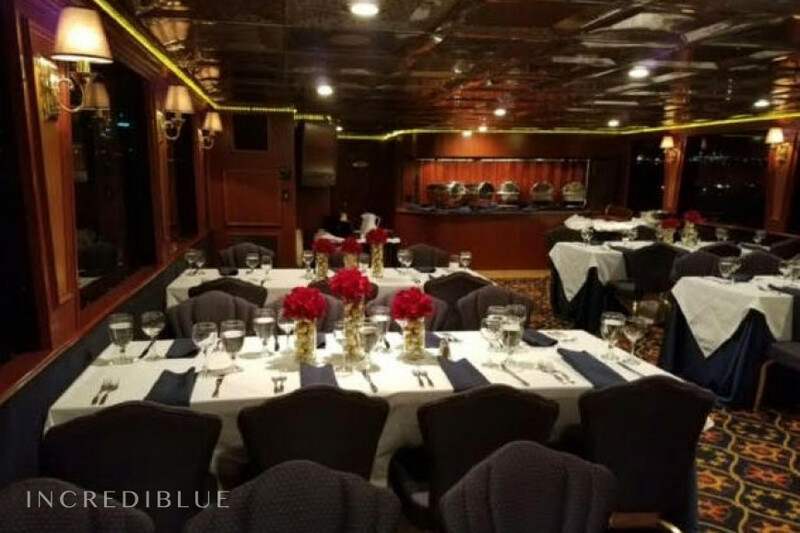 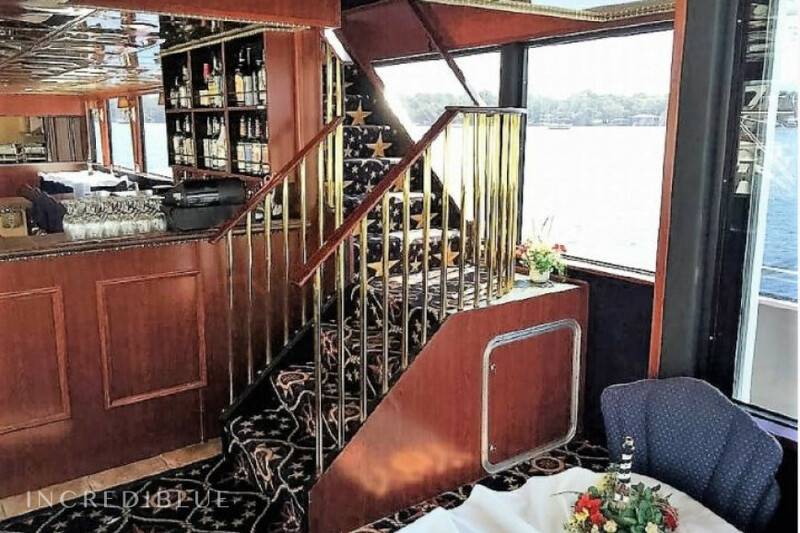 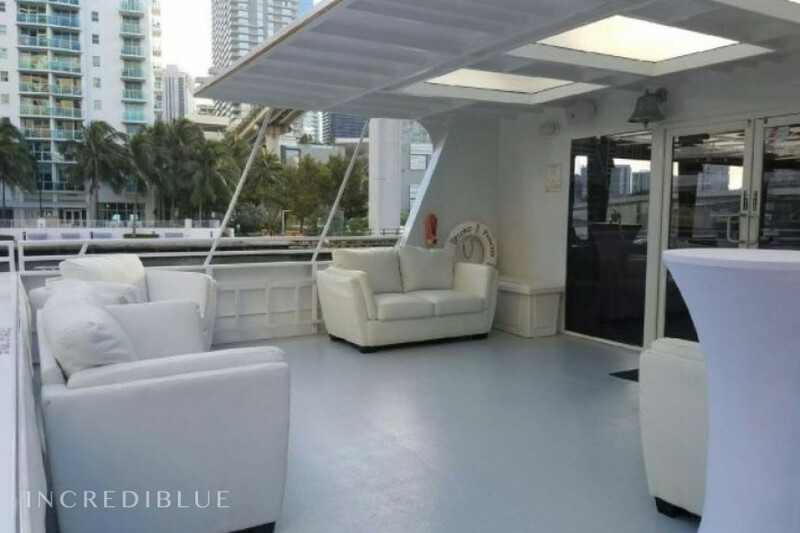 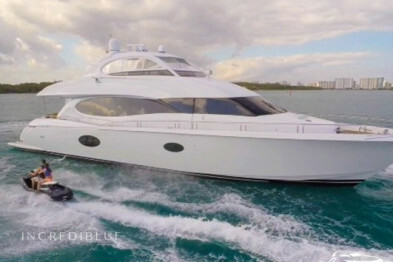 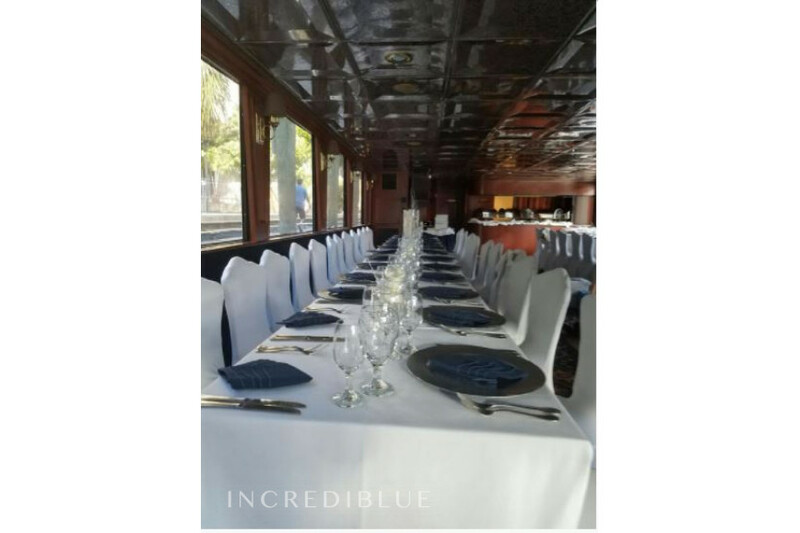 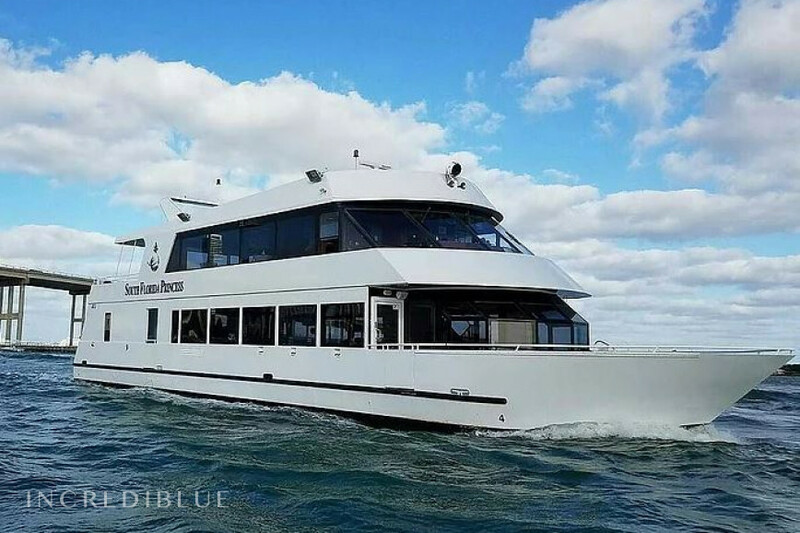 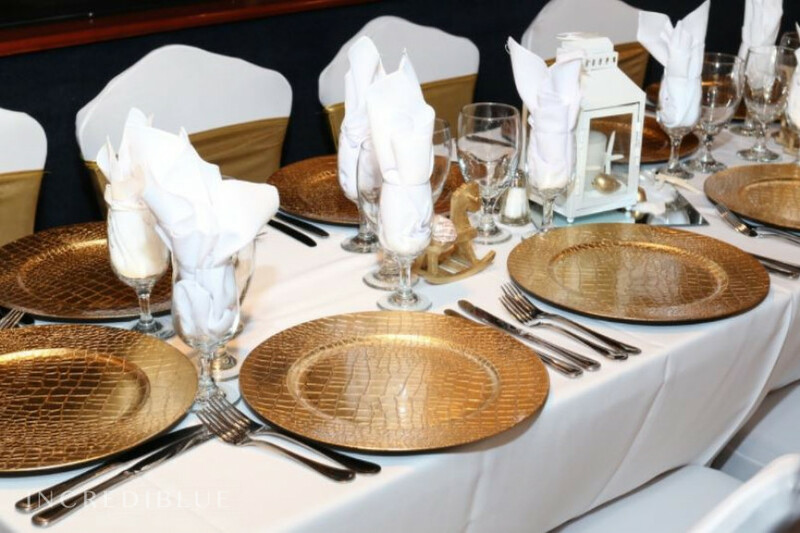 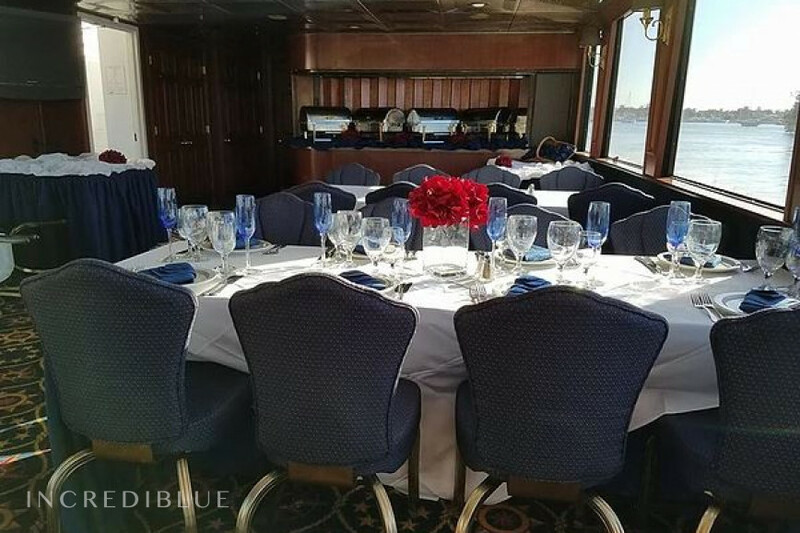 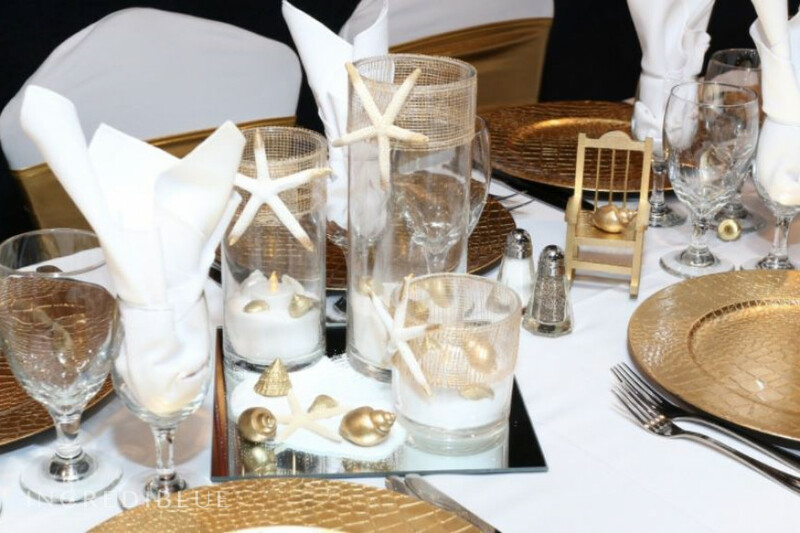 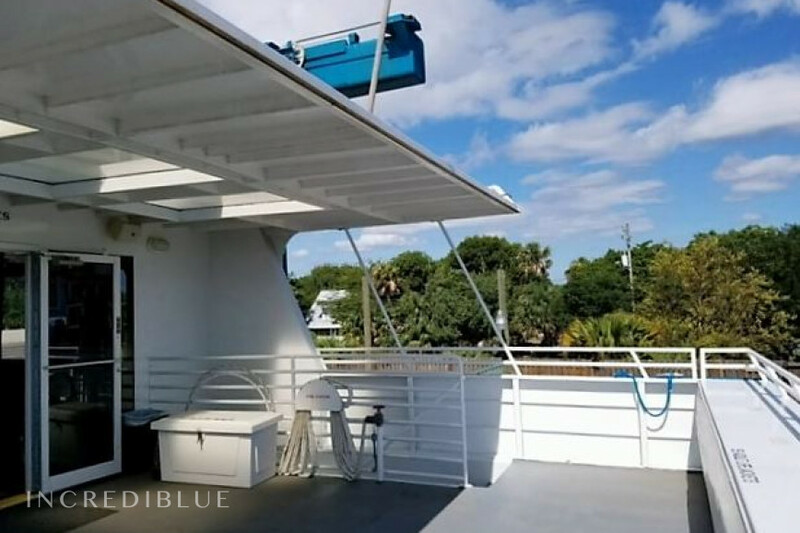 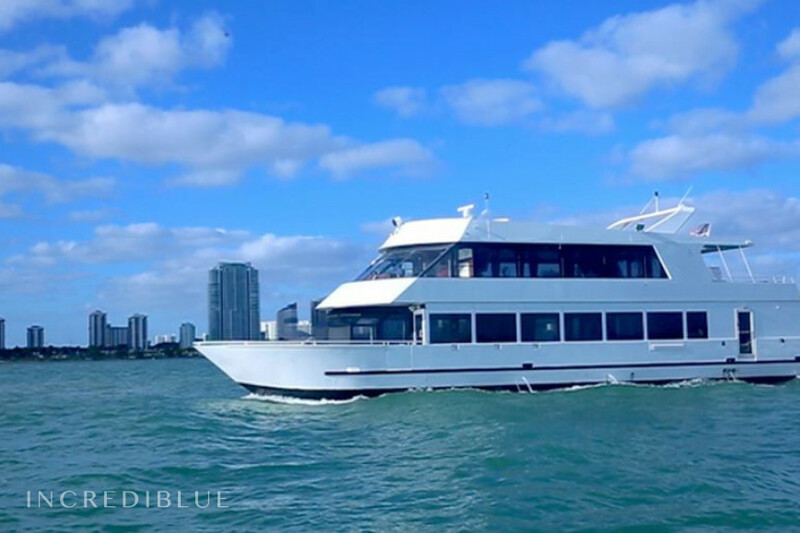 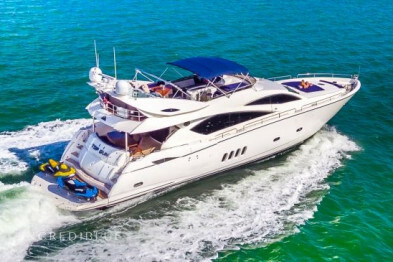 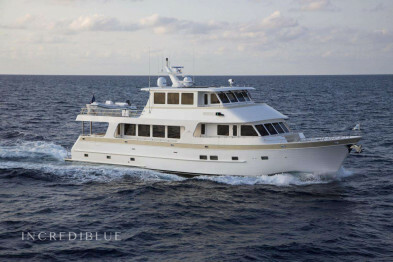 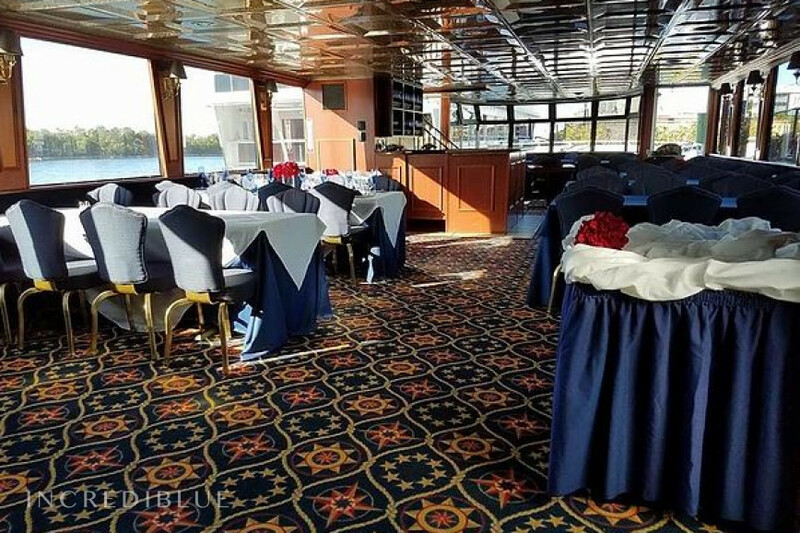 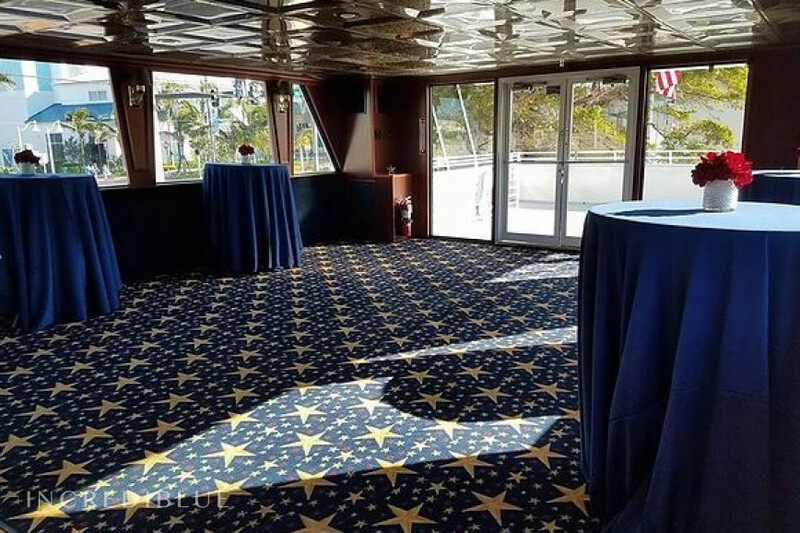 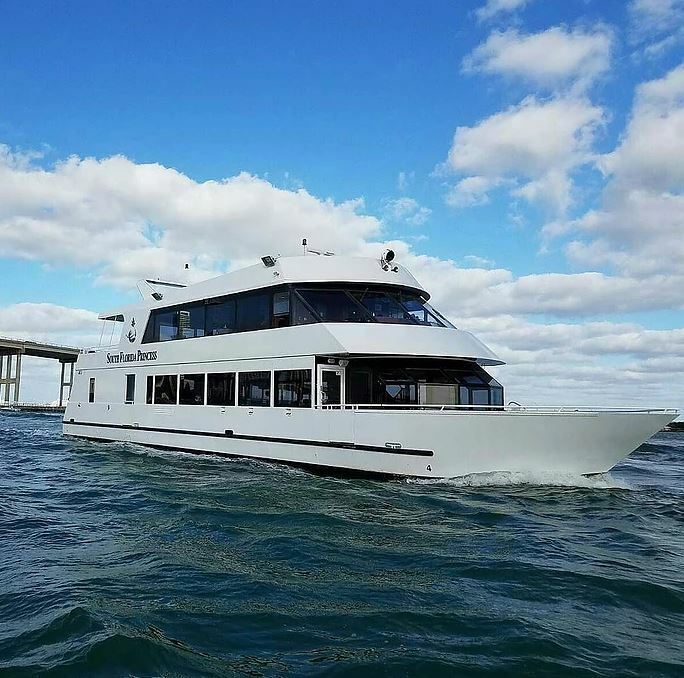 This yacht can be the perfect venue for your next great event. 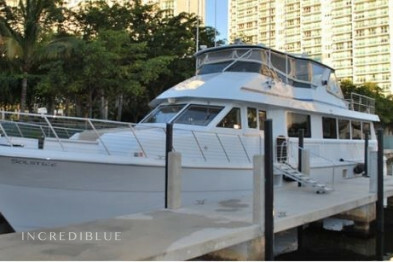 With a beautiful inside polished cherry wood, a spacious dining room featuring floor length linens, a choice of three table settings, china, flatware, or gold plate chargers, the use of house centerpieces, two bars available (one on each deck), a spacious air conditioned cocktail lounge with cocktail tables, indoor and outdoor dancing, open sundeck, fine cuisine prepared on board by your personal chef, fully temperature controlled, 4 zone sound system, DJ packages available, photo booths, red carpet, 2 Flat Screen TV's, and a guest capacity from 25 to 120 guests.